A. Said association is organized exclusively for charitable and educational purposes, including, for such purposes, the making of distributions to organizations that qualify as exempt organizations under section 501(C)(2) of the internal revenue code or corresponding section of any future federal tax code. B. SCSC seeks to instill in the participants: ideals of good sportsmanship, honesty, loyalty, courage, and respect for and of authority. This objective will be reached by providing supervised competitive athletic games. The supervisors, coaches, parents, volunteers and spectators shall bear in mind at all times that the attainment of exceptional athletic skill or the winning of games is secondary and that the molding of future citizens is of prime importance. A. Parents or guardians of the participants in the league. D. Assistant Coaches (Limited to (1) one per team. B. At the annual organization meeting, the Board Members shall be elected for a period of one 2-year term. C. There is a minimum requirement of one (1) year on the board in order to be elected for president, vice president and treasurer. D. Elected executive board members shall take office by November 1st. E. The offices of President and Secretary will be voted on and filled in years ending in even numbers. The offices of Vice-President and Treasurer will be voted on and filled in years ending in odd numbers. F. An elected member of the executive board maybe removed by a majority vote of the executive board. G. Should any vacancy of the executive board occur by death, resignation, or otherwise the same shall be filled without delay by the executive board. 1. Tournament Coordinator – Coordinates arrangements of league sponsored tournaments and entries into other league tournaments. 2. Umpire Coordinator – Schedules all game umpires. 3. Sponsorship Coordinator – Solicits sponsors for the league teams. Determines sponsor advertising by uniform, banner, etc. 4. Concession Coordinator – This person, together with three additional people from each league, will handle all concession stand operations. 5. Uniform Coordinator – Handles ordering uniforms and coach’s shirts. 6. Trophy Coordinator – Handles ordering of trophies and sponsor plaques, and will deliver plaques to the coaches/sponsors. 7. Web-site Coordinator – Responsible for maintaining the website. 8. Scheduling Coordinator – Schedules all games, including rain outs and tournament games. This person is responsible to communicate with the Umpire Coordinator, and Concessions Coordinator. 9. Special Events Coordinator – Responsible for league events such as the summer picnic and team pictures. 10. Public Relations Coordinator-Contacts newspaper with league stories and pictures. 11. Park Facilities/Equipment Coordinator- Responsible for preparing the fields for games and maintaining building cleanliness and security, including bathrooms. Also responsible for equipment loaned out to coaches, making sure it is returned at season end. Ordering needed equipment and maintaining existing equipment. B. All league coordinators will be required to provide the Board with details of projects, events, expenses, etc. The Board will make all final decisions. C. An appointed league coordinator may be removed by a majority vote of the executive board. D. All matters of policy concerning the SCSC shall be decided by a majority vote of the executive board. E. Any individual who has a conviction of domestic violence, or misdemeanor conviction involving drugs or alcohol. Any conviction involving immoral turpitude with a minor. And any conviction of crime deemed by the board to be detrimental to the mentorship of all players in the league shall be unable to participate in any league fashion. F. One person may hold multiple League Coordinator positions with Board approval. A. An annual meeting of the members of this association shall be conducted by the end of each quarter for the reading of reports. At the 3rd quarter meeting elections will be held for Executive Board members who will take office November 1st. A public notice will be made two (2) weeks prior to the date of the meeting. Additional meetings may be called by the president, or upon request of at least three (3) executive board members. The executive board members will have no less than quarterly meetings. B. A majority vote of the members present at said meeting shall constitute a quorum provided notice has been given via a posting at the park, website, other social media sites or sent via email, seven (7) days in advance and all executive members have been notified. B. No expenditure or association commitment over two hundred fifty ($250.00) dollars will be made without prior executive board approval. C. all debit card transactions will be preauthorized via phone, email, or directive by the president with approval of funds by the treasurer. Three (3) cards are to be issued in the name of the president, vice-president and concession stand coordinator. All expenditures must have corresponding receipts and be within the limits listed above unless preauthorized above that amount. D. A financial report, including the concession stand report, of all monies shall be submitted at every executive board meeting and every general meeting of SCSC, at the discretion of the executive board. 1. By an organization exempt from federal income tax under section 501(C) (2) of the internal revenue code, or corresponding section of any future federal tax code. 2. By an organization, contributions to which are deducted under section of any future federal tax code. F. Upon the dissolution of the association, assets shall be distributed for one of more exempt purposes within the meaning of section 501(C) (2) or the internal revenue code, or corresponding section of any future federal tax code, or shall be distributed to the federal government, or to a state or local government, for a public purpose. Any such assets not so disposed of shall be disposed of by the court of common pleas of the county in which the association is then located, exclusively for such purposes or to such organization or organizations, as said court shall determine, which are organized and operated exclusively for such purposes. A group type accident insurance obtained by and in the name of SCSC shall cover each participant in league play or practice session of the SCSC. Insurance for players also accepted individually from A.S.A. Each player shall be required prior to participating in any league play or practice session, to pay a specified registration fee and return a completed application form. No SCSC facility will be available until above requirements have been met. All-Stars will be sanctioned A.S.A. and N.S.A. A. Coaches and assistants of all teams shall submit a coaching application for approval by the executive board as well as pass a criminal back ground check conducted by Parks and Recreation. B. Each team will have one (1) coach and one (1) assistant. They shall be responsible for their team’s conduct on or off the field, while acting in their capacity as a coach or assistant. 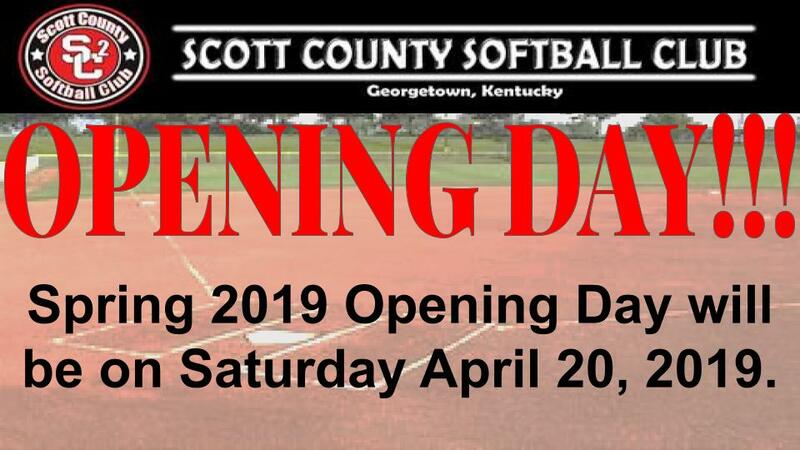 C. Each coach or assistant shall conduct himself/herself at all times in such a manner as to be a credit to this association and to the Scott County community. Coaches and/or assistants shall be subject to removal or asked to resign by majority vote of the executive board for justifiable reasons, including article five, section E.
D. Each coach and assistant will be allowed to have their children play on the team they manage. E. Any coach or assistant ejected from a game may be brought before the executive board and will be subject to any disciplinary action deemed appropriate. The coach or assistant will be given 24 hours advance notice of the meeting at which time a decision will be made with or without his/her presence. F. Any coach or assistant who has outstanding financial obligations to SCSC or any other softball organization or related business will not be allowed to coach until proof of restitution is provided in writing to SCSC executive board. A. Participation in this association shall be in accordance with A.S.A rules and shall be governed by SCSC. B. Each player shall conduct herself at all times in such a manner as to be a credit to this organization and the Scott County community. Each player shall be subject to removal from the assigned team upon recommendation of his/her coach to the executive board (with majority vote of the executive board). C. Any player with outstanding financial obligations to SCSC will not be allowed to participate until proof of restitution or agreement is provided in writing to the SCSC. D. Any member of a team that does not attend two (2) successive practices and does not have a valid reason suitable to the coach’s approval (illness or vacation) may be prohibited from playing the following league game. A. All applications shall be turned in by the dates determined by the executive board for both spring and fall seasons. B. Each player must furnish a certified state issued birth certificate with their application showing the date of birth. A copy of the birth certificate will be attached to the application and kept in the SCSC files. Returning players with a copy of a birth certificate on file need not furnish a birth certificate each year unless requested by the executive board. C. No player can participate in any game or practice session until her application and fee has been turned in to a member of the executive board. D. No player shall be allowed to be placed on two different league rosters at the same time in the same season. No pick-up players allowed for league games, no exceptions spring and fall. E. Spring season - All players must play in a league that matches their age as of January 1st of the current year, i.e., 13-year old players will be placed on the 13U league. Fall season – All players must play in the age league that will apply with the upcoming January 1st date. Example: A 10 year old playing in the 10U league in the Spring that has a birthday between February and December of the current year will move to the 13U league for the Fall season. F. Placement of returning players and coaches for leagues shall be done in the following manner: For each season, any player who participated on a team of the past season shall be permitted to remain on that team. Any player who does not desire to remain on the team with which she participated in the past season will be permitted to place her name in the draft. She shall be assigned to a team, other than the one she participated on, for the upcoming season in the same manner as a new applicant. 1. New applicants to the league shall be placed in a league that matches their age. Applicants will be placed on a team of corresponding league having players of the same age level, i.e., 13- year old applicants will be placed on a team composed of 13 years old & under. 2. Teams that have folded. 3. Players that no longer wish to play for the former team. 1. Approved All-Stars/Elite league coordinators will be expected to turn in rosters by a date determined by the executive board. Minimum of ten (10) players on a roster. Any changes to the roster after the date determined by the executive board must have the approval of the player parent or guardian and the league representative. 2. No player can participate in any practice session until her application and fees have been turned in to a member of the executive board. A. The executive board shall form leagues of this association after the signed applications and birth certificates of players wishing to participate have been received. No team shall have less than ten (10) players. C. Minimum age is four (4) years old as of January 1st of the current year. The uniform adopted by this association shall be matching shirts in the designated team color and coordinating socks. Solid black softball pants or shorts (if shorts are selected they must contain a leg) with no writing on any portion of the rear, and will need to be provided by the player. If desired by the sponsor, the sponsor’s name can be displayed on the back of the shirt. Each shirt must prominently display (meet A.S.A. requirements) the number assigned to that player. The uniform shall be provided by each participant and will be worn in every game. The by-laws, or any section thereof may be amended or repealed by majority vote of the executive board members present at any called meeting of this association provided ARTICLE VI, SECTION B has been adhered to. Any amendment of these rules governing the SCSC shall be made in written form and presented to each coach and to the umpire coordinator. Standing rules – no changes shall be made to the standing rules without executive board approval.